Muskoka is known as Ontario's cottage country for good reason. It boasts some of the provinces most coveted waterfront and the demand for quality cottage real estate has been very strong for a number of years. With this in mind we thought an overview of the luxury waterfront market on various popular Muskoka lakes. The following are sales figures for the Lakelands Real Estate Board for 2016 up to the end of September. Keep in mind that there are many prestegious island and boat access retreats as well so we have broken down the information into both catagories. Most of requirements for high-end waterfront Muskoka real estate follow a simular pattern with buyers wanting good privacy, southern or western exposure, deep water docking and reasonable elevation to the lakefront. There has been a large number of out-of-country buyers this year which is changing the landscape from a Buyer's perspective. Quality waterfront listings that are priced well are moving very well with bidding wars becoming far more common. Be well informed when searching Muskoka luxury waterfront real estate, the more you know, the wiser choices you'll make! The following information is a general snapshot for waterfront sold so far in 2016 on the Lakelands Real Estate Board MLS generally speaking. It doesn't include private sales or out-of-board listings. Call us for more details on other specific lakes or areas. Always in high demand, Lake Joseph commands a premium for both year round home and cottages. One of the " Big Three ", great listings tend to be limited. Boat houses are often on peoples wish lists and not all properties meet zoning requirements to construct them so purchasing land with an existing one can be a good idea. One of the Muskoka jewels, Rosseau is home to many business leaders and celebrities who flock to the lake seeking a quiet retreat. It's been increasingly difficult to find move-in ready cottages for under 2 million but they do show up from time to time. If you're willing to boat, water access can save you some money. The quid essential get-away area for generations, Lake Muskoka is a premium lake with a premium price point. If you're searching for a nice cottage on a private lot with good exposure expect to pay north of 3 million. Quality listings were scarce this year and moved quickly, something to keep in mind..
Water access properties sold - 23 ranging from $ 412,000 up to $2,350,000. Beautiful Lake-of-Bays is not one of the "Big Three" but it commands prices simular to it's better known counterparts. The lakefront varies from natural sand beaches to rugged granite outcrops. There are several islands including the famous " Bigwin" home to the Bigwin Golf club. Located just outside Huntsville, Mary Lake is very popular for its proximity to shopping, gormet dining, hospitals and skiing. Well developed and known for many waterfront activities and strong cottage association, Mary lake is one of Ontario's historic recreational areas. Searching for a quality Muskoka cottage ? Call us at 705 387 9700, we would love to help! John and Bonnie Fincham, your local Muskoka Realtors. 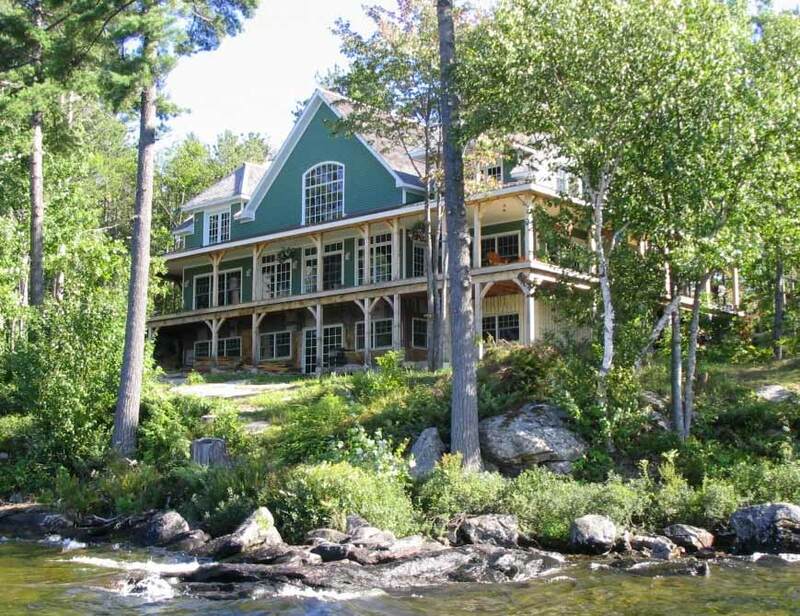 Searching luxury cottages for sale in the Muskoka area? i Find current luxury listings by clicking here! A quick little addition for 2017 we thought we would add. We are just 3 weeks before the Cottage Life Show in Toronto and the number of quality waterfront listings is very low. It's a little early in the season to see if it's a trend but the number of active Buyers we have is becoming much larger then the new properties coming on the market. At this point we would consider things solidly in the "Seller's Market" which means if you see somthing that's of interest we recommend you look into it right away. We've seen that look of dissapointment to many times already this year! We have and updated report, for the 2017 Muskoka Luxury Real Estate market click here.